Can Russia serve as the bridge between China and India? 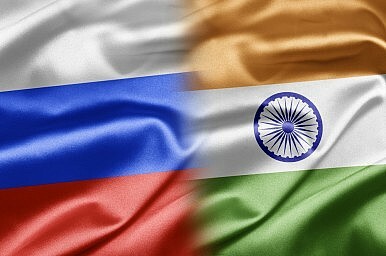 India and Russia have long been close allies. During the Cold War, India was generally close to the Soviet Union, despite its official stance of non-alignment. In the past decade, India has moved closer to the United States, but this has not come at the expense of its relations with Russia. There are, ultimately, numerous limiting factors in the Indian relationship with the United States, including the ruling Bharatiya Janata Party’s (BJP) ideological distance from the West and U.S. President Barack Obama’s relative indifference towards maintaining a close relationship with India. On the other hand, both Russia and India have stood by each other at difficult moments. India’s continued ties with Russia and support of Russian positions in the international arena demonstrate that India’s world view and goals are often very different from the West’s. Despite being a liberal democracy, India’s narrative often does not fully buy into the current liberal world order due to native currents in Indian thinking and a post-colonial wariness of the West. India’s positions at international forums are often closer to the major powers that are essentially opposed to the liberal world order led by the United States– including Russia, China, and sometimes Iran. However, there are many stumbling blocks for India’s involvement with this informal non-Western grouping. The main one is India’s wariness towards China. While Russia has grown increasingly close with China, India still distrusts China due to an unresolved border dispute and rivalry over influence in Asia. However, China has recently begun to reach out to India because, like Russia, it believes that a truly Asian bloc is only fully possible with India’s cooperation. China has made the first move by inviting India to attend the APEC summit in Beijing, this November, one-upping the United States. The Russia and India Report suggests that Russia is behind this recent change in China’s attitude towards India. Russia believes that with both India and China on board, it will be easier to set up a pan-Asian bloc that can stand up to the West. India views Russia as a trusted partner that could bridge the divide between China and India without neglecting Indian interests. Additionally, both Russia and China have recently indicated that they want India to play a larger role and perhaps even become a full member of the Shanghai Cooperation Organization (SCO). Russia has long advocated this position and it is likely that it has persuaded China to back greater Indian involvement with the SCO. India will probably need Russian support in the future if it is to persuade China to back its bid for a permanent seat in the United Nations Security Council. Despite these improvements between India and China, it is unlikely that the two countries will see eye to eye anytime soon. While this may spur the U.S. and India to develop better ties in the future, India is still likely to remain closer with Moscow. If any country can bridge relations between China and India, it is likely to be Russia, the closest thing India has to an all-weather friend. Beijing has been skillful at keeping New Delhi guessing on support for the latter’s Security Council bid. What Does India’s Strategic Community Perceive As the Country’s Largest Challenge?Pulwama, Balakot, and Azhar Underscore India’s China ConundrumFrom Wuhan to Pulwama: What Remains the Same Between India and China Over Jaish-e-MohammedWill India’s Trump Fears Ease With the New US Asia Reassurance Initiative Act?Seeking Capital for the Capital: Will India and China Jointly Fund Amaravati?